Definite staple in my makeup routine. I have very oily skin, so my makeup melts away without a good setting spray. This spray keeps my makeup in place and helps control the oil. It doesn’t stop my oily skin ( I don’t think anything can) but it helps with touching up dramatically. A simple blot and setting powder and I’m back to perfection. This is great for mixed drinks. Definite need for any party or family cookout. It’s smooth and blends well to make the perfect drinks. This setting powder had me shook!! 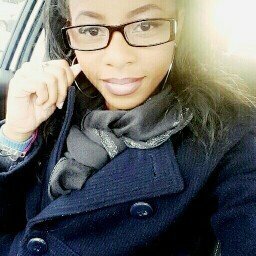 I love the color, it has the perfect under tone for my skin complexion. The texture is very smooth and light. You won’t feel cakey at all. And the finish is flawless. Fenty beauty definitely did a wonderful job with this product. I’m in love with this concealer! It’s very thick and creamy with full coverage. 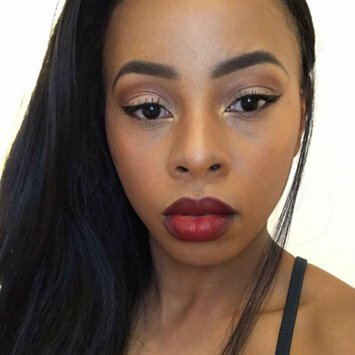 It’s very easy to blend and works well with the Fenty foundation. I will say that it does crease a little but a simple pat underneath the eye takes the creases away! Worth it purchase! I love this foundation. Anytime I want to have a beat face, this is my go to! It has buildable coverage and I love the matte finish. I have an oily face so this works well with my skin. Definitely a staple to keep around! I love Ciroc! It’s smooth and blends well! Great for mixed drinks. Definitely my go to over any other brand. And I feel like the price is reasonable for the quality you’re getting. Worked perfectly for me! 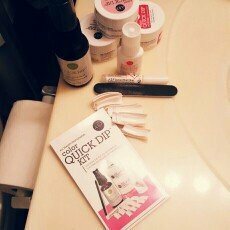 I used these with my ASP Quick Dip kit and so far so good!! I liked the way they look like natural nails and blend very well. Okay so I just got this kit this week and tried it last night and I am very satisfied with the results!! Are they perfect? No but I feel like it'll come with time because this was my first time doing them! But can say this, it is a lot easier than the traditional acrylic sculpt at home sets. When I say it is simple, it really is as simple paint, dip, spray, and repeat!! Not really time consuming unless you make it that way. It took me a while because I wanted a so certain shape and kept taking breaks. But so far so good. The nails feel very strong l, like the do at the salon. I say if you're looking to save some money and know how to paint your nails and like to do things yourself sometimes, then this is the product for you. Just so you know the kit comes with the white nail tips, mini file, nail glue in a tube as well as brush on, 3 different colored powders, and curing spray. I bought separately a set of natural nail tips, nail file and buffing block and extra brush on nail glue. 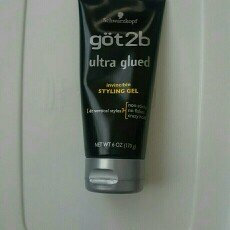 I love this gel! Me and my daughter have very curly hair and normally gels just make our hair curl up more and won't lay down but this product is the home. With this the way I style it is the way it stays and I absolutely love that!!! !